Challah and Cherry Blossoms: Happy `Nissan 1`! Nissan 1 is the first day of the first month on the Hebrew calendar, as commanded by God to the Children of Israel (Exodus 12:2). 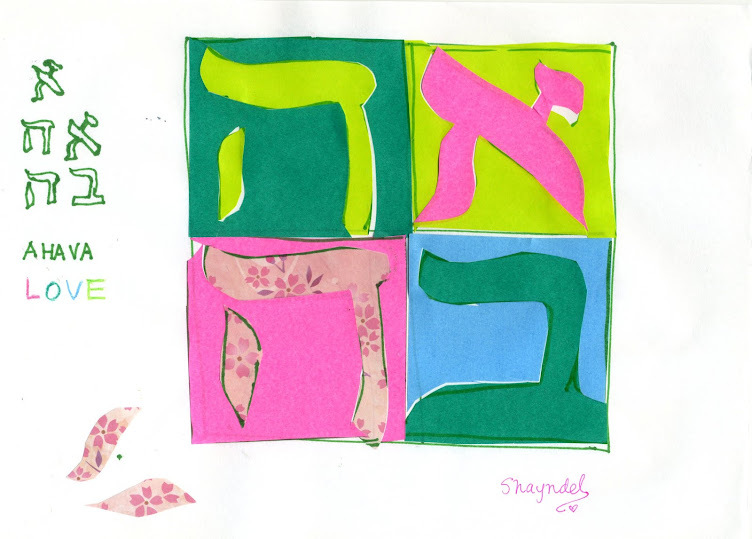 It is the `head` of the year, the Rosh Chodesh, the day that everything begins a new. Nissan 1 is also the day that some believe to be the "birthday" of Messiah Yeshua, or rather the day He came from Heaven to earth to live in human form. Nissan 1 is the day that, as we read in the last chapters of the book of Exodus, the Tabernacle was complete and ready for God to dwell with the Children of Israel. Nissan 1, the first day of the first month on the Hebrew Calendar, is also today! This morning I put on a Messianic-pink skirt to dress for the day. Its my first time of knowing that this day existed, as I never lived in the cycle of Torah and followed the Hebrew calendar before this past year. Probably no one else that I would meet during the day today would know what this day is on God`s calendar. I knew it was special, and wanted to acknowledge it. So I dressed in my new pink skirt, filled with joy to be with Messiah Yeshua in my heart. If anyone asked, or if the opportunity was opened, I would tell them. Everything in the day felt bathed in the new light of Nissan 1. A friend had invited me to go to a park with her family and to drink matcha, green tea in Japanese style setting. I went with her and her daughter and granddaughter. Her granddaughter is so precious, just a little over one year old! We sat on the tatami floor of the temporary tea room set up in the park for an event welcoming spring. The person making the tea poured the water and performed all the rituals of making the tea. A very pretty and delicate pink and green Japanese sweet was served. Its colors, shape, and tastes, are made to bring together the taste and feeling of the season. My friend explained how we first eat the sweet Japanese wa-gashi and it prepares our taste for the bitter green tea. This year I am feeling a deep Messianic connection with things Japanese, so it somehow seemed the perfect taste for this day. To my great surprise, I also saw the very first cherry blossoms in the park !! All of the trees were starting to bud. Expectation is in the air, but only a very few were open into blossoms. As exciting as full bloom is, there is something truly special about seeing the first blossoms. In the season of re-birth to see new life coming forth!! By the way, I did have a chance to tell someone the great story of it being Nissan 1, and the reason for my wearing my Messianic-pink skirt!! May we grasp a hold of the tree of life, the Torah of Adonai, the Word made flesh, Yeshua our Messiah, and Have a Happy Nissan 1 !!! A three blossom cherry blossom--- announcing Nissan 1, and everything new!! This month will mark the beginning of months for you; it is to be the first month of the year for you. I am truly enjoying reading your blog. Your love for the Lord is so evident! I can't even explain how much just reading here blesses me. I am beyond blessed that we have met and are part of the same Messianic congregation. Many Blessings-shalom! Thank you Mrs N! I am so blessed too by meeting you, and am so thankful to the Lord that He brought us together...and in the month of Nissan! !